Dr. Hewell is a native of the Macomb area. 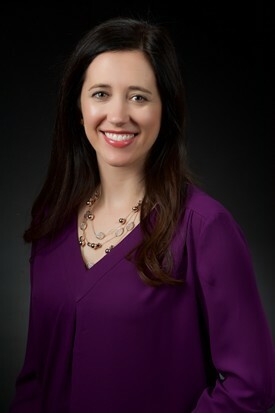 She attended Fraser High School, received a Bachelors of Science from the University of Detroit Mercy, and then graduated from UDM School of Dentistry in 2008. She is an active member of the American Dental Association, Michigan Dental Association, and Macomb Dental Society. Dr. Hewell is committed to continuing her education by attending various seminars throughout the year. She is always looking to learn about new techniques and advancements in dentistry to better serve her patients. Dr. Hewell takes pride in getting to know her patients. She wants to make sure every patient is as comfortable as possible and has a positive dental experience. Dr. Hewell places a heavy emphasis on patient education and prevention. Her goal is not only to improve a patient's oral health, but also their confidence and quality of life. Outside of the office, Dr. Hewell loves spending time with her family. She has been married to her husband, Gary, for 10 years, and they have 2 young children together. She enjoys yoga, spinning, being outdoors, and traveling to the Upper Peninsula. Welcome to Hewell Family Dentistry! We look forward to meeting you!